This recipe is nothing spectacular -- it can actually be a perfect dish for the clueless cook. I've been uninspired to whip up new dishes the past several weeks. I guess the stress and exhaustion from homeschooling has taken a toll, as I've become such a nag, very grouchy, quick-tempered and masungit. Not liking myself now. Ironically, I've been having quite a big (bigger than usual) appetite lately. 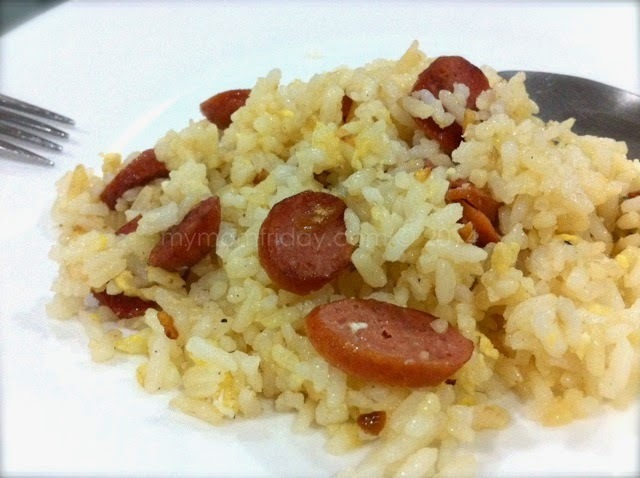 I've been eating a lot of this Wienerli fried rice for the past 2 days already since I received the sausages! It only proves that I always find comfort and pleasure in eating regardless of circumstances. I can't recall if I've already seen some wienerli in the grocery, or maybe I just don't notice them. Wienerli means Viennese sausage. 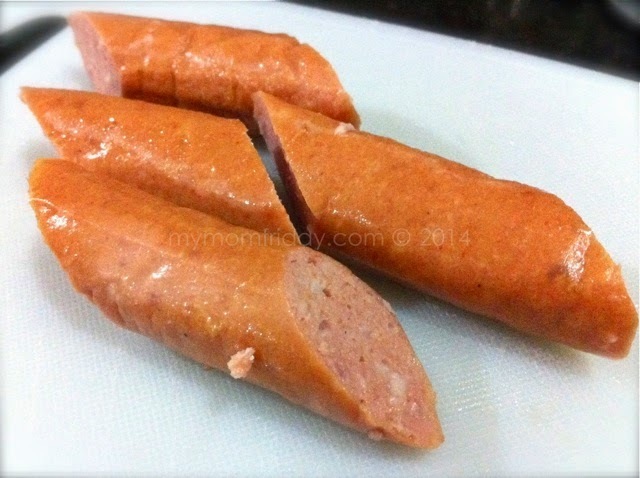 It resembles a hotdog, but longer and thinner, and has a wonderful smokey flavor. 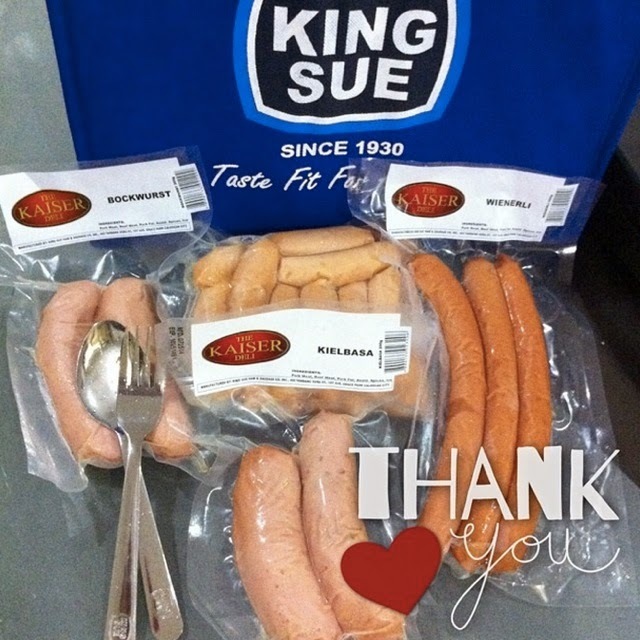 A few days ago, King Sue generously sent me another package with their premium brand of sausages, Kaiser Deli. I buy their kielbasa from time to time, and I was glad there was this pack of wienerli to try. My husband can attest that I am not a fan of hotdogs, especially the red ones. I also limit the family's consumption of processed meats. 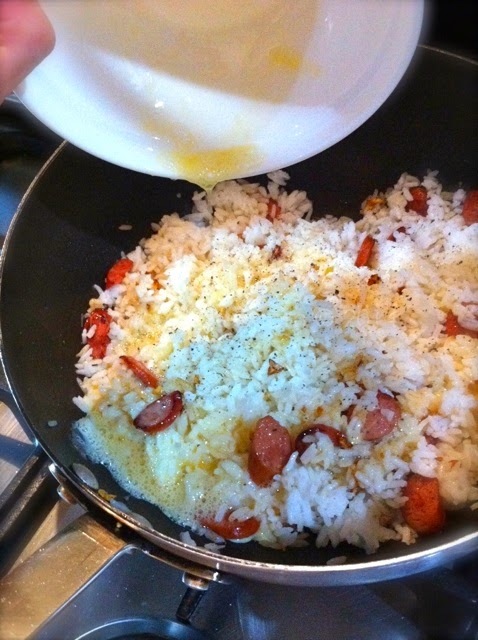 Surprisingly, I got hooked with one as soon as I tried it, so I thought I'd share my instant rice dish today. The wienerli is flavorful and has a perfect balance of "smokey and spicy" for me. It's not as firm as a hotdog, and the taste and texture is more appealing to me. I'd prefer to serve this over regular hotdogs anytime. I think that's why the fried rice was so fragrant and appetizing. This recipe is a no-brainer, a perfect way to recycle day-old rice. You can cook this in less than 10 minutes, and even pack for lunch to go. J and the girl loved this dish too, and to think she's not even fond of fried rice! Heat oil in a pan and saute garlic. 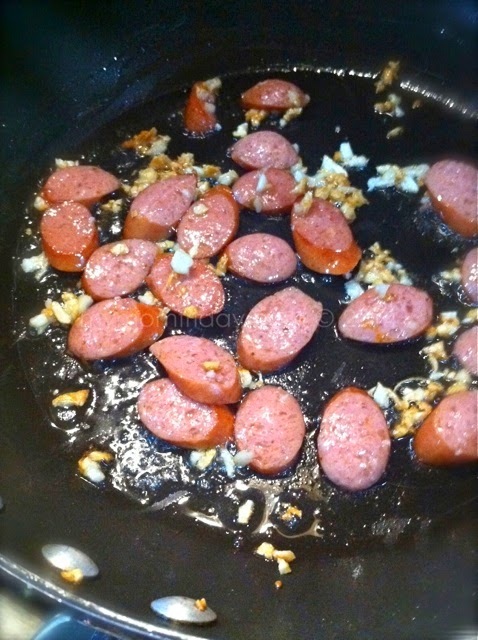 Toss in sliced wienerli and cook for a few minutes until lightly toasted and fragrant. Pour beaten egg and mix a little. Leave for 10 counts so egg can set, then mix the rice again until color is even. Are you fond of sausages? How else do you serve them? 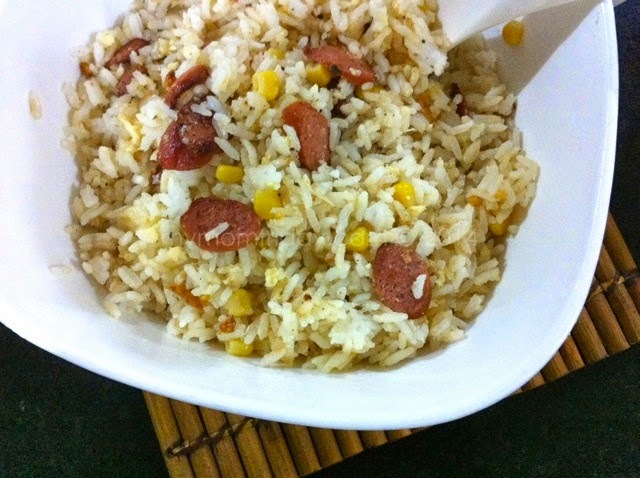 Yesterday, I threw in some corn kernels in the mixed rice and it tasted just as great, with that extra sweet bite. Next time, veggies will be added in too! It'll be a meal in itself. Kaiser Deli products are available in S&R, Unimart, Landmark, Cash&Carry, Rustan's Supermarket at Rockwell and Shangri-la.